Wind-powered energy has received a bad rap recently. Okay, well not the energy itself, but those huge turbines used to make the energy. In 2015, then-Prime Minister Tony Abbott wanted less funding for wind power, calling them “visually awful”. Then-Treasurer Joe Hockey echoed this sentiment and then some, calling wind turbines “utterly offensive”. You can see where they’re coming from – wind farms often pop up out of nowhere, and look ominous perched on top of hills forever spinning. Though, there’s a lot more to them than their looks. Think of them like an ugly duckling with a heart of gold. To appreciate wind turbines, it’s helpful to understand what they do and how they work. Wind energy is primarily used for electricity generation using turbines. It is one of the oldest forms of renewable energy technologies – you don’t have to drive long into the countryside to see a windmill on a farm, for example. Wind is continuing to garner popularity alongside the growing interest in alternative energies as a whole. Wind currents spin the large turbine blades, rotating a low-speed shaft at between 30 to 60rpm. This shaft connects to a gear box which connects to the high speed shaft. The high speed shaft will rotate at speeds of around 1000 to 1800rpm – which is sufficient speed to charge the generator and produce electricity. If the turbine is part of a wind farm, the electricity will feed into a substation where it is transported onto the grid for use. Lots of wind exposure: This is why you usually see them perched on a hill in the countryside. Not too much wind, though; this can damage the turbine: New turbines however have the technology to adapt to the wind conditions to ensure optimal output. Is wind energy used in Australia? Unfortunately, wind energy is a relatively minor form of energy generation in Australia. Nationwide, it accounts for only four per cent of energy usage. South Australia, however, has an exceptionally high penetration of wind energy, meeting 37 per cent of its electricity requirements for 2015. South Australia alone accounts for half of Australia’s wind energy capacity. It is also the fastest growing renewable energy source for Australian electricity generation. Total local capital investment into wind equates to $4.25bn. Creates jobs. An average 50MW wind farm has 48 construction workers. Farmers can get up to $250,000 per year for leasing their land; this flows back into the region. Wind farm companies also look to improve quality of the land, including better bushfire protocols, tracks for farmers and so on, allowing for better land and stock management. Finding the right location is difficult, and their required conditions are very specific. 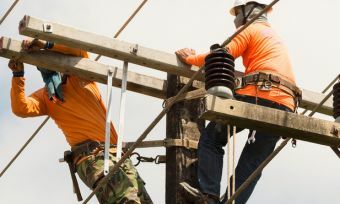 Ideal conditions are often out in remote regions, so building the infrastructure to connect to the grid in populated areas is costly, difficult and time consuming. We have a huge existing coal and gas industry that has been tough to penetrate. Although this last point is from a US standpoint, it is expected that Australian scenarios are at least somewhat similar. It appears long term Government and private investment is necessary as wind energy is such an expensive endeavor at the moment. Overall, wind turbines are a great form of renewable energy. Once installed they can produce energy at virtually no cost, and at no cost to the environment either. The Australian Government is seeing its potential and is investing healthy amounts of money into the sector. Though, wind is not without its downfalls. The most notable is that it’s expensive to establish, and can potentially be harmful to the environment throughout installation. This takes the shine off the resource, giving way to criticisms from various invested parties. The most accessible way for consumers to access wind power is through GreenPower, which by paying a little extra on your power bill enables you to source all your energy needs from renewable energy. With this information in your hands, you can now decide whether or not investing in a wind-powered future is right for you and your home.